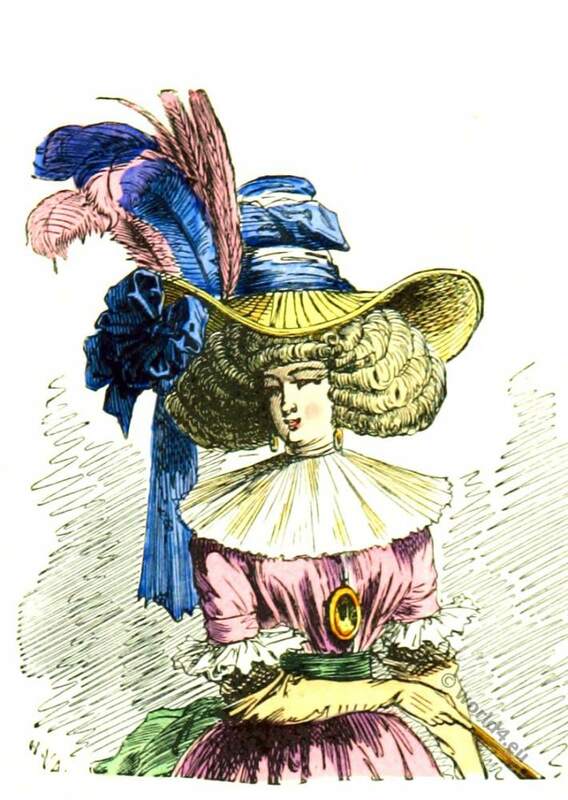 Chapeau à la Chinoise 1787. 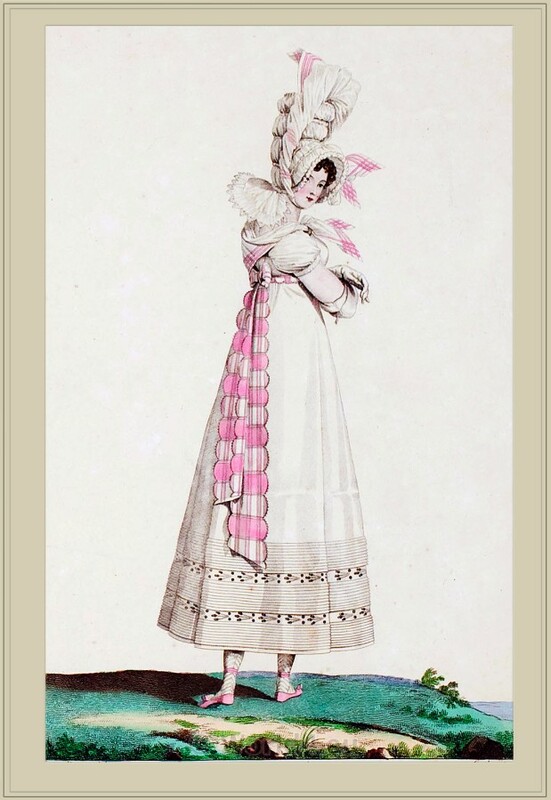 This entry was posted in 1787, 18th Century, Ancien Régime, France, Headdresses, Rococo and tagged Feather Headdresses, Paris à travers les siècles, Rococo fashion on 6/28/15 by world4. Capote de Perkale surmontée d’un fichu de Gaze. Costume Robe de Perkale. Capote de Perkale surmontée d’un fichu de Gaze. 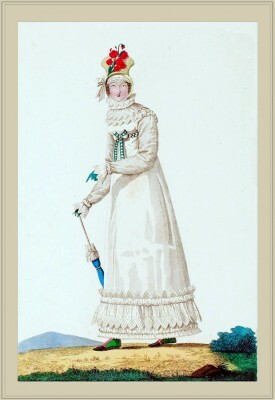 This entry was posted in 18th Century, Directoire, First Empire, France, Georgian period, Headdresses, Merveilleuses, Regency period and tagged Feather Headdresses, First Empire Style, French Directoire style, Horace Vernet, Neoclassical dresses, Regency period on 8/5/13 by world4. 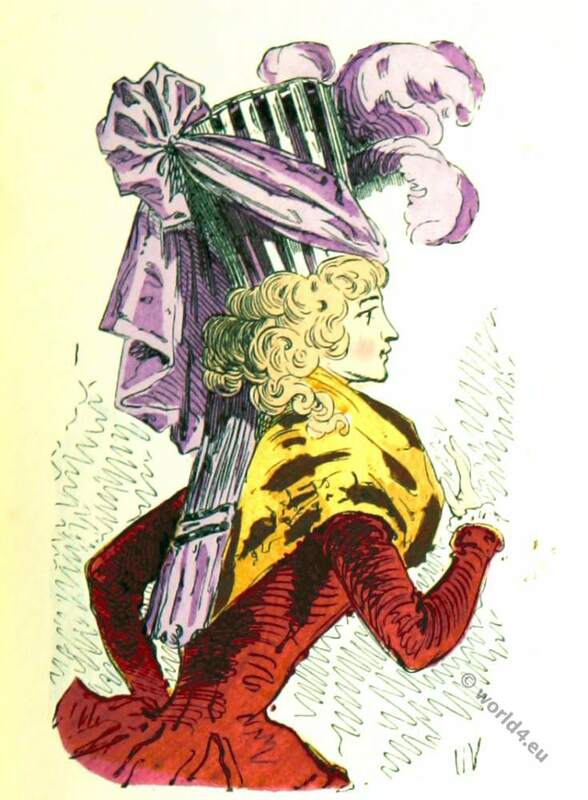 Costume Robe garnie de Bouillonnés. Costume Robe garnie de Bouillonnés. Chapeau de paille, orné de Coquelicots. 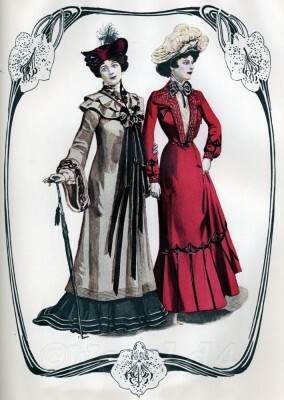 The figure shows two women in the fashion of the late 19th century. It is commonly associated with this mapping of the Art Nouveau style. The Art Nouveau, known in England under the name, arts and crafts came from the direction of visual art around the year 1900 and had the goal of the decorative arts of the historic form of doctrine to liberate. This art movement was known in Germany by the newspaper “the youth”, in Austria, she received under the term secession. Organic, sculptural forms, moving, swinging lines, plants, ornaments and contours are emphasized his decisive style features. The period around under the turn of the century was characterized by a variety of forms and diversity of the materials. The fashion was lost in the complexity of diverse skirts, sleeves, hats and other accessories. 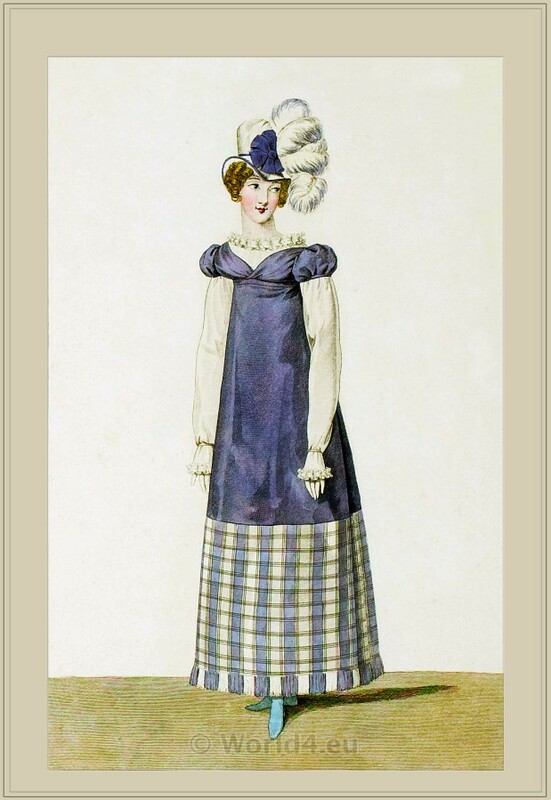 In the latter end of the 19th century defined the Parisian haute couture, under the fashion designer Worth, Redfern and Drecoll, the pace of fashion change. The fashion accents the waist more, emphasizes the shoulder line and spread the tight skirt front to the rear. The shoulders are accented by Volants. This is a cape worn. Hats with feathers or ribbons have the shape to appear larger. This entry was posted in 1890, 19th Century, Art Nouveau and tagged Belle Epoque Fashion, Feather Headdresses on 5/14/13 by world4.